Is He On The Line…? Jez Dolan, UK based artist was invited by Einkofi Productions to take part in a residency supported by the NATUR project, working with archives and institutions to uncover shared LGBTQI+ stories and histories which link and connect Iceland and the UK. Jez’s practice works with queerness, language, text, and identity to explore ‘what we don’t say’, often using archival material and people’s personal archives as a starting point in the creation of new work. He aims to create a new artwork by unfolding queer culture - asking the question of how cultural heritage has left out queer culture and stories, and how this has affected the construction of gay identities in Iceland, the UK and across Europe. 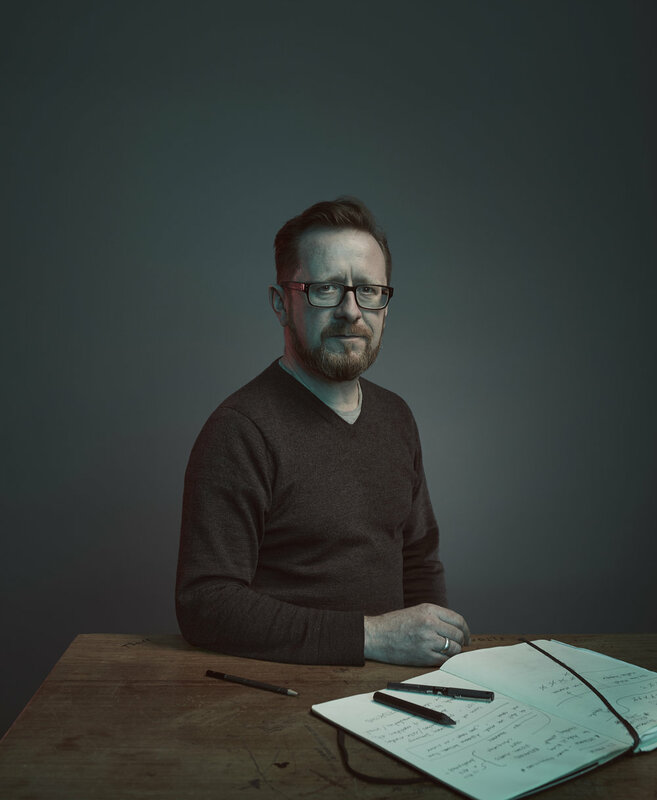 During his time in Iceland Jez researched Icelandic LGBTQ Histories and their connections with the UK, starting with the drastic social changes instigated by the British Invasion of 1940. Icelandic LGBTQ histories and archives only surface from around 1970 with many diaries, letters and original sources destroyed to protect the men and women who corresponded in less accepting times. While in Reykjavik Jez met with some key figures involved in the discussion of Icelandic Queer history, these included Þorvaldur Kristinsson, Hörður Torfason, and Íris Ellenberger - click here for the interviews. Þorvaldur Kristinsson was chairperson of Samtökin '78, the national LGBT organisation of Iceland for many years, and the chair of Reykjavík Gay Pride 2000-2012. He is also an author, having been awarded the Icelandic Literature Prize in 2008 for his biography of actor Lárus Pálsson. Hörður Torfason is a noted Icelandic songwriter who has been releasing his own work independently since ’73. He is a committed human-rights activist and was the inspiration and main founder of Samtökin '78, the national LGBT organisation of Iceland. Already a recognised national figure for his music, he was the first person in Iceland to publicly come out as gay. 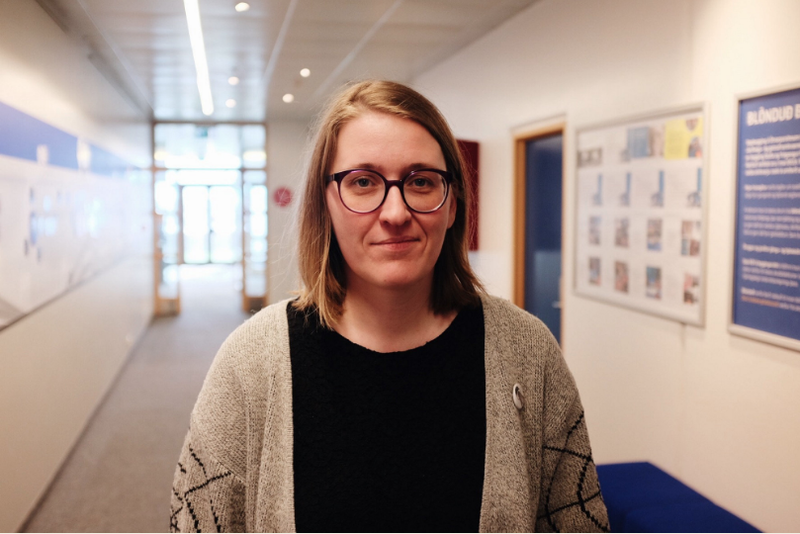 Íris Ellenberger has been researching how queer history is framed in Iceland, and criticises most popular tellings of this history for its narrow scope. She feels that somehow the story that is told about queer history in Iceland revolves mainly around the right to get married and have children, and that queer people have a much longer history that needs examining. In February 1954 Winston Churchill’s post-war government began debating the need to reform laws relating to sexual offences, specifically, prostitution and homosexuality. Since the war, prostitution in London was on the rise and high-profile cases relating to homosexual offences proliferated in the media. They appointed the “Departmental Committee on Homosexual Offences and Prostitution” under Sir John Wolfenden. Their findings, the Wolfenden Report as it became known, was published in 1957 and concluded that the criminalisation of homosexuality was an impingement on civil liberty and proposed that there “must remain a realm of private morality and immorality which is, in brief and crude terms, not the law’s business”. Although it took another decade for a significant change in the law the landmark publication started the processes that ended more than 70 years of the criminalisation of homosexual acts between men in the UK. In 2015 The House of Commons, as part of the Festival of Freedoms, commissioned artist Jez Dolan to interpret the archives and history of the report and create a new artwork resulting in two screen printed pages from the report being partly translated into Polari, a secret dialect of the time used primarily by Gay men in England as simultaneous disguise and identifier. The work now features in the British Museum’s forthcoming “Desire, Love, Identiy: exploring LGBTQ histories” exhibition, which soon undertakes a tour of four British museums. The first edition of the work, in book form, is held by the UK Parliament Archives, and the first edition of the print is recognised as the only specifically ‘queer’ artwork in the Parliament Art Collection. Jez Dolan's practice explores queerness and identity through the codification of language with a specific focus on: the things we don't say / things that remain unsaid / secrecy and hiddenness, whilst utilising text and language as both form and content, visual presence and mode of communication. Jez Dolan's practice is interdisciplinary, project-based and research-driven. He employs a range of media according to the specific needs, demands and context of each project. Working with printmaking, drawing, performance, installation and curating, often creating new works from an exploration of archival materials and sources, through which we recall and revisit individual and shared memories and histories. He is interested in researching queer identity; histories, heritage and personal archives, and how we place these, and ourselves in the wider world. Events and experiences always leave behind them a trace, or residual mark of their occurrence, and it is these traces, marks and events which Jez is interested in exploring, expressing these ideas through a process which is performative, collaborative, and celebrates the physical act of making. Jez's practice has emerged from his previous twenty - year history as a practitioner in socially engaged arts practice and education, and continues to evolve with each new body of work which is created. He has recently completed an MA in Queer Studies in Visual Art & Culture (with distinction) at Birmingham School of Art / Birmingham Institute of Art & Design. Jez has recently shown work at: The Leslie Lohman Museum, New York City, Bury Art Museum, The People's History Museum, Manchester, The UK Paliament Art Collection & Archives and The Britten-Pears Foundation. Recent live work has included The Britten-Pears Foundation, HOME Manchester and The Victoria and Albert Museum, London. Forthcoming exhibitions include Birmingham City Art Gallery, The Herbert Art Gallery & Museum, Coventry and HOME, Manchester.